Washington: Earth’s global surface temperatures in 2018 were the fourth warmest since 1880 and the planet will warm further, especially since greenhouse gas emissions are continuing to rise, NASA and the National Oceanic and Atmospheric Administration (NOAA) have said. 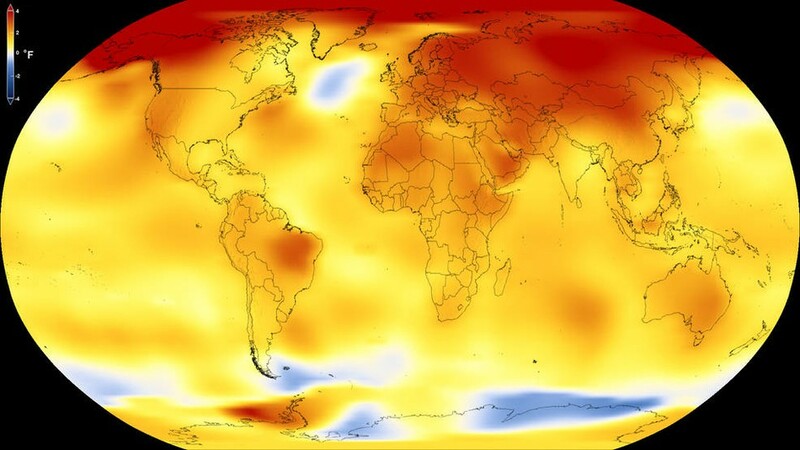 Global temperatures in 2018 were 0.83 degrees Celsius warmer than the 1951 to 1980, according to scientists at NASA’s Goddard Institute for Space Studies (GISS) in New York. Globally, 2018’s temperatures ranked behind those of 2016, 2017 and 2015. The past five years are, collectively, the warmest years in the modern record. “2018 is yet again an extremely warm year on top of a long-term global warming trend,” GISS Director Gavin Schmidt said in a statement on Wednesday. Since the 1880s, the average global surface temperature has risen about 1 degree Celsius. This warming has been driven in large part by increased emissions into the atmosphere of carbon dioxide and other greenhouse gases caused by human activities. “Weather dynamics often affect regional temperatures, so not every region on Earth experienced similar amounts of warming,” said NOAA.